Cebu City – Retired Chief Supt. Vicente Loot was one of the richest police officers in the PNP (Philippine National Police) with a net worth of more than PhP 100 million. His pieces of property were acquired through bank loans and other “legal means.”, explained by Ret. Chief Supt. Vicente Loot and now Daanbantayan Mayor in northern Cebu. Aside from his house in Daanbantayan, his family also owned 18 houses mostly in Mandaue City, Cebu which he had rented out, a cockpit arena and five luxury vehicles. Loot is one of the five active and retired PNP generals who were tagged by President Rodrigo Duterte as being drug protectors. 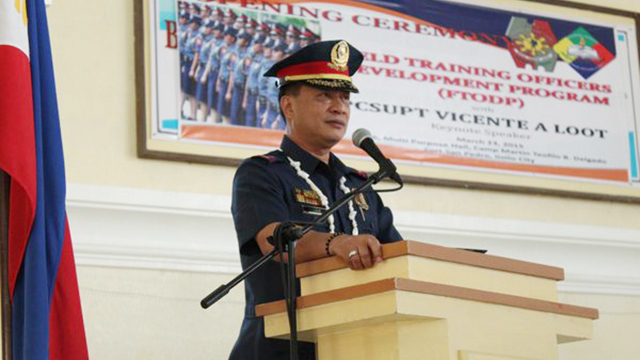 19 houses in Central Visayas & 5 luxury vehciles as PNP chief Superintendent? - Oh my Lord, only on Illegal Drug Trade Industry..